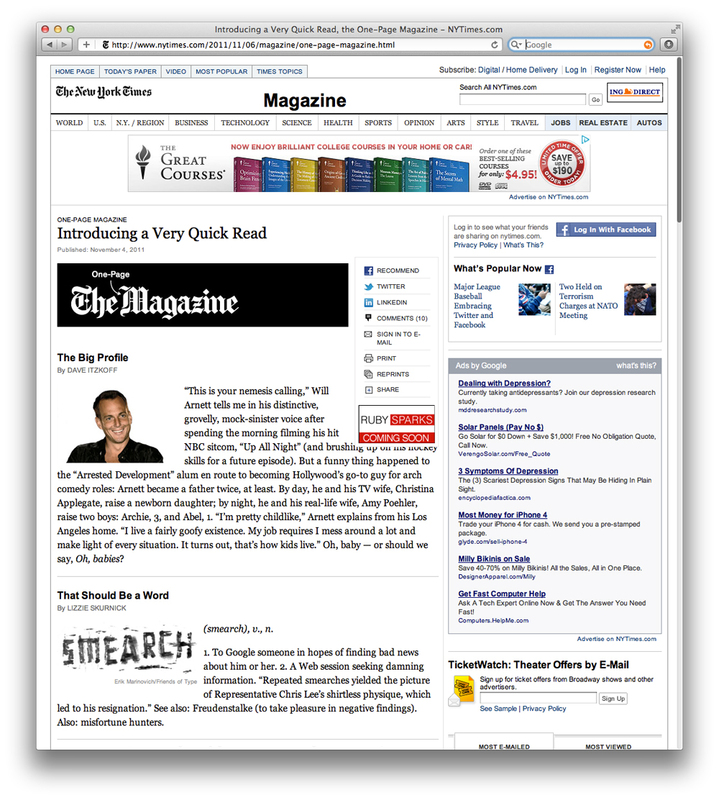 The New York Times introduced a new feature in their Sunday magazine called ‘The One-Page Magazine.’ It features a few short ‘news’ clippings that cover a variety of topics. One consistent short is ‘Word of the Week’ that includes new culturally relevant words and their definitions. An artist is invited to illustrate the word, keeping in mind the defintion. Here I created an illustration for the word SMEARCH. 1. To Google someone in hopes of finding bad news about him or her. 2. A Web session seeking damning information. “Repeated smearches yielded the picture of Representative Chris Lee’s shirtless physique, which led to his resignation.” See also: Freudenstalke (to take pleasure in negative findings). Also: misfortune hunters.